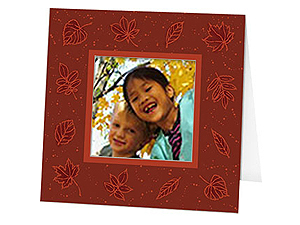 Fall Leaves card stock frames. Holds Polaroid 600, 667, 668 and Spectra prints. Three-panel construction folds to create easel frame. Side-load.